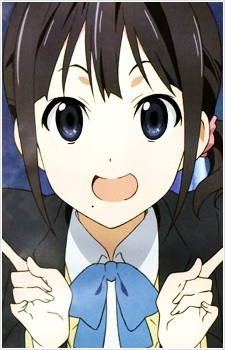 Iori is Taichi's classmate, a bright, friendly, popular girl. She's the president of the Cultural Research Club, but rather than lead everyone, she sets the mood and gets them excited. Occasionally she takes bold actions in front of others, be it due to carelessness or simple naivety. She has had 5 different fathers, and having previously a violent stepfather, she had learned to alter her personality to fit the expectations of others to the point where she is unsure who she was originally supposed to be. She is in love with Taichi, and confesses her feelings in episode 5. However, she decides not to date him due to the phenomena the group is facing and for her safety.